Just one word was not enough to describe our Florida rules. State of Florida water extend out 9 miles from the coast of Florida on the gulf side. Then it becomes Federal waters, while often they are the same, sometimes they are not. the question is if they are different, can you bring the fish to land in state waters. 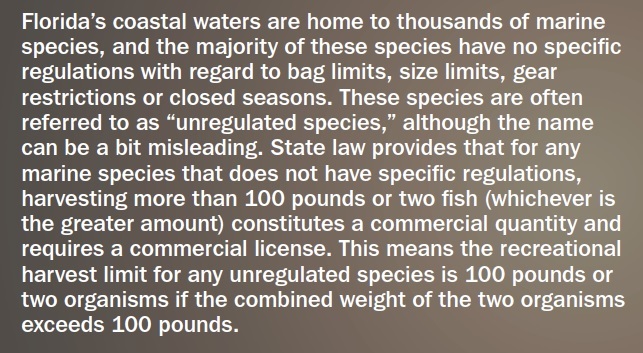 If you fished Federal waters and the law is different??? What can/should you do? 9 miles out in the gulf starts Federal waters. show where the pass boundaries are. Also the rules for fishing here during Tarpon season, In Boca Grande Pass only.